FRAMINGHAM – Mary E. (Cintolo) Ventola, 94, a lifelong resident of Framingham, died peacefully, Thursday, February 21, 2019 at Carlyle House in Framingham. Mary was born in Framingham, she was the daughter of Vitaliano and Litizia (Ventola) Cintolo. She was beloved wife of Alfred Ventola for 61 years. Mary graduated from St. Stephen School and Framingham South High School. She worked at Cintolo’s Market in Framingham for more than 40 years since the age of 9 with her brothers. She worked at Bradlees department store for 25 years. Besides her husband Alfred, she is survived by her sister-in-law Mary Cintolo of Framingham and several wonderful nieces and nephews. She was the sister of the late Frank, Mike, Patrick, Rev. Anthony and Louis Cintolo. 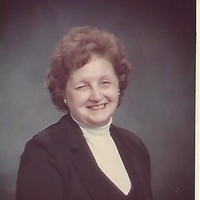 Relatives and friends are invited to attend her funeral Mass on Monday, February 25, 2019 at 11 a.m. at St. Stephen’s Church. 251 Concord Street (Route 126) Framingham.